What If Arkham City Were a Suburb of Springfield? 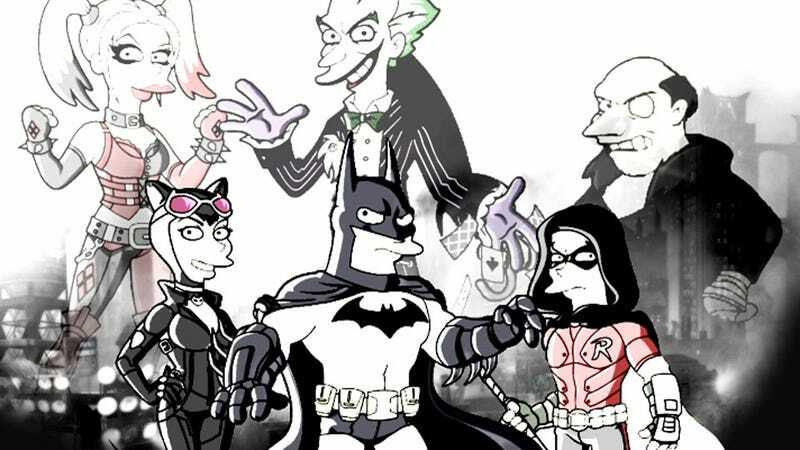 Artist Dean Fraser of Springfield Punx fame is up to his old tricks again, giving the heroes and villains of Batman: Arkham City a Simpsons-style makeover. Mmmmm, Springfield Catwoman. Both Fraser and his fans have been posting Arkham City sketches over the past week, depicting the sort of horrible idea Mayor Quimby might come up with if crime in Springfield reached Gotham proportions. It's a situation that would culminate in the inevitable Batman / Bartman team up that fans have been craving for years. Check out the Springfield Punx website for more Springfield crossover characters, from the Green Lantern to the Blue Falcon.